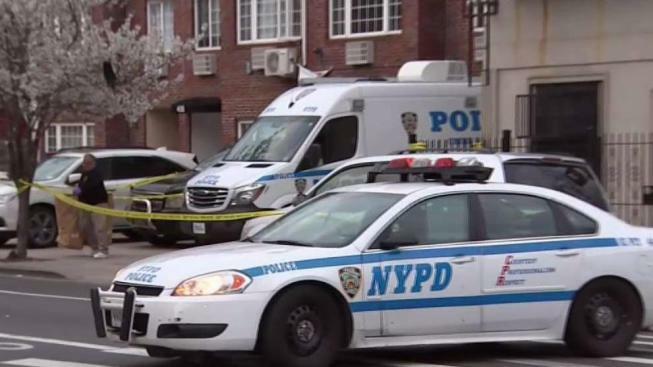 A neighbor of a Brooklyn man made a grisly and bloody discovery on Tuesday. Police say the neighbor discovered a man who uses a wheelchair dead, stabbed multiple times, and found a bloody knife next to the victim’s body. The man, identified as Otis James, 46, was found bleeding from the torso in Bushwick on Central Avenue around 4:30 p.m., according to the NYPD. When officers arrived at the scene, they say he was unconscious and unresponsive. A crime scene van was spotted at the scene early Wednesday, but it’s not clear whether authorities have any suspects in the case. A medical examiner will determine the man’s cause of death and the investigation is ongoing.